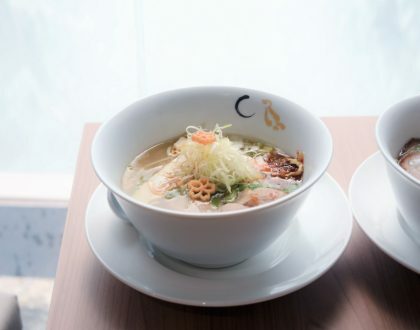 First and foremost, I didn’t know the Michelin Guide Singapore actually recommended an ice cream café in its listing. MICHELIN ICE CREAM? 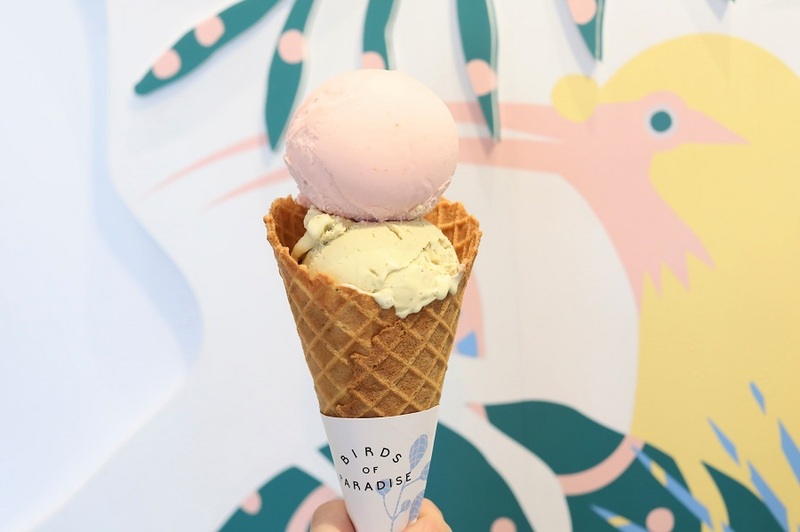 So one of my favourite gelato shops in Singapore, Birds Of Paradise at East Coast Road was listed as a “Michelin Plate”. 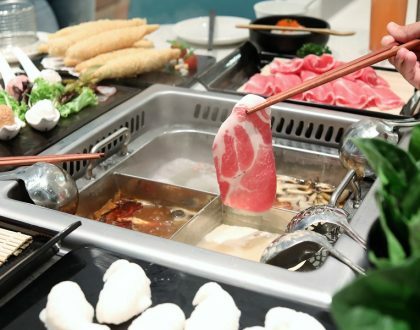 There are many anticipated restaurant and café openings at Jewel Changi Airport, which includes Shake Shack, Burger and Lobster, The Alley 斜角巷, Emack & Bolio’s, and Rich and Good Cake Shop. 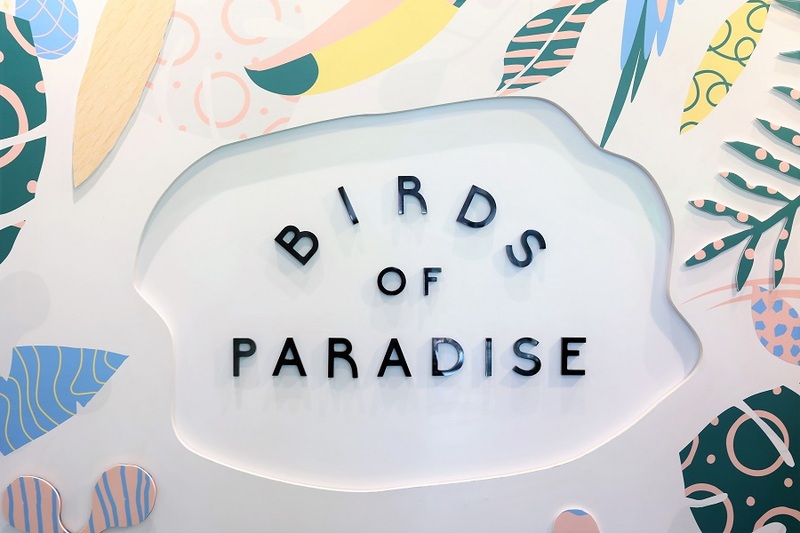 Birds Of Paradise has opened its 2nd outlet at Jewel Changi Airport, collaborated with local fashion label In Good Company. You get clothing and accessories on one side, gelato on the outside. 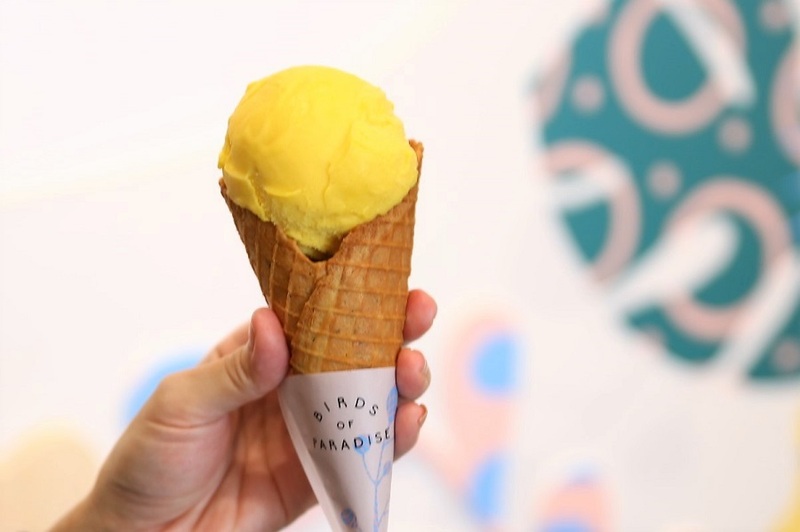 Birds of Paradise is so named because the shop creates gelato inspired by the botanical flavours of nature. That means fruits, flowers, pods, herbs, and spices. 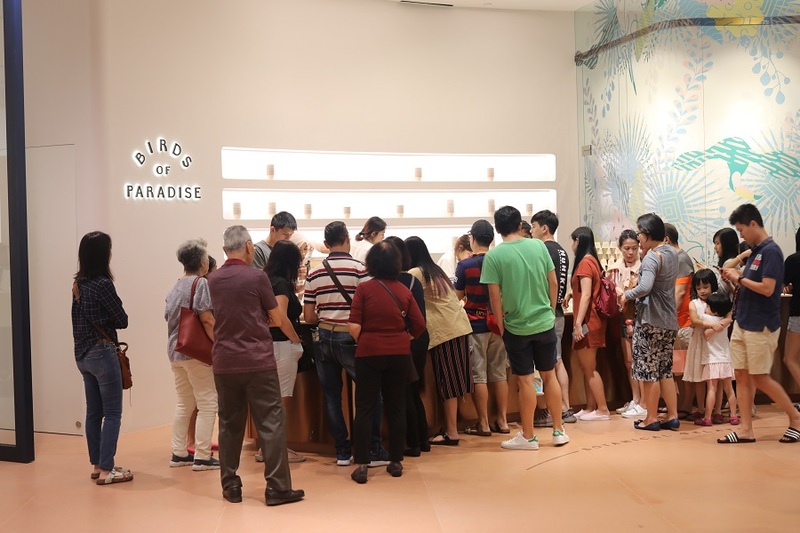 The owner was inspired to make ice cream since more than a decade ago, experimenting with all types of flavours, till he wanted to settle for something more natural, unique and healthy at the same time. 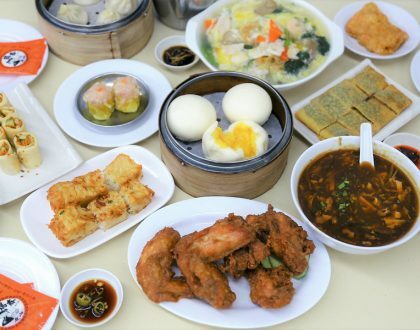 The group of us became fans of varied flavours, from the creamy tarty-sweet Mango, floral-flavoured White Chrysanthemum with bits of cacao nibs, and delicate Lychee Raspberry. Other interesting flavours include Pandan, Lemongrass Ginger, Earl Grey and Lemongrass, Midnight Gianduja, Spiced Pear to Basil. 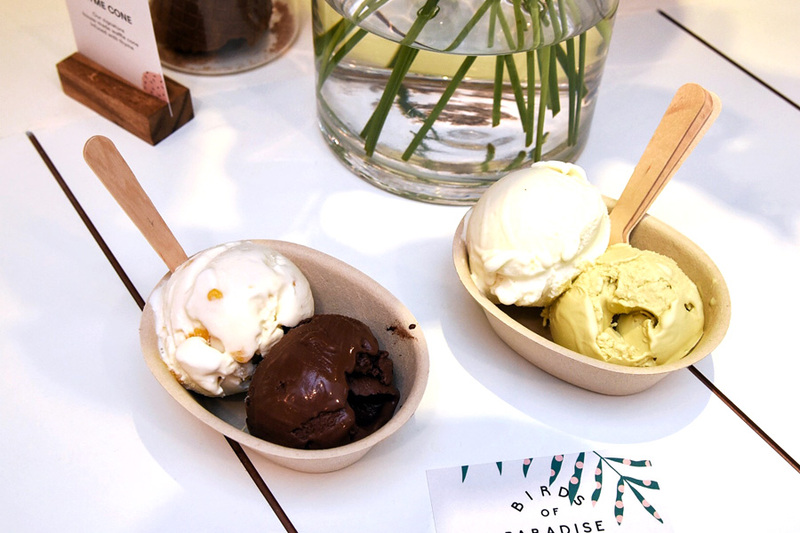 They are priced at $4.70 for a single scoop, $7.70 for double scoop, $1 extra for thyme cone. 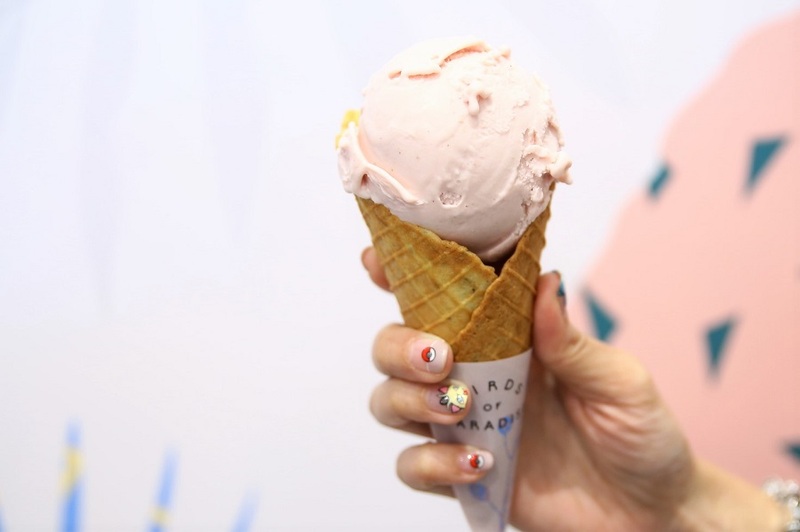 The latest addition is the Peach & Rose Sorbet – a refreshing, and sight sweet-tangy sorbet with fragrant rose aroma. 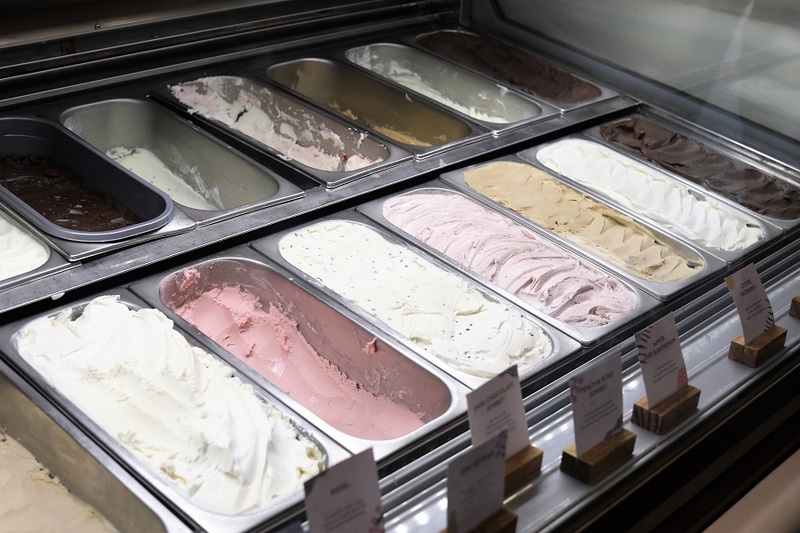 For those who are less tolerant to overly-sweet desserts, the gelato should appeal to you because they are less-sweet without that artificial twang and colourings. 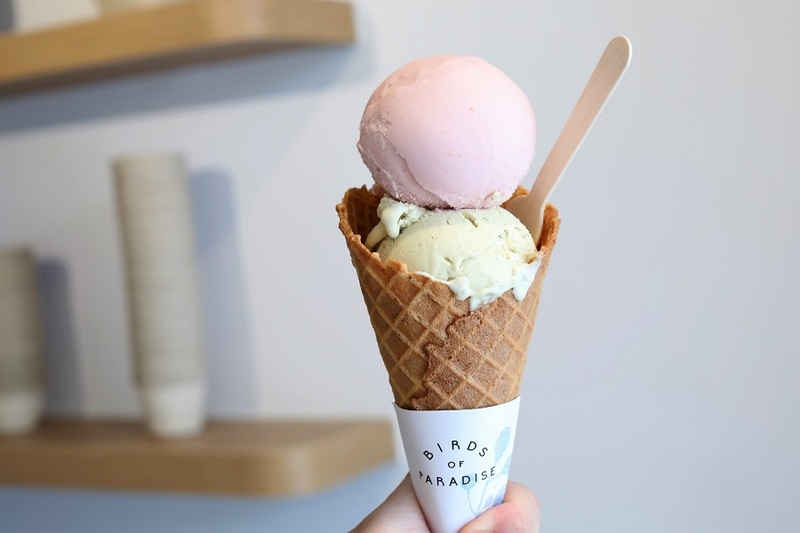 Therefore, you would observe that the colours of the gelato are in light-pastel colours. Oh yes, between a cup and cone, I would recommend the cone in a heart-beat. 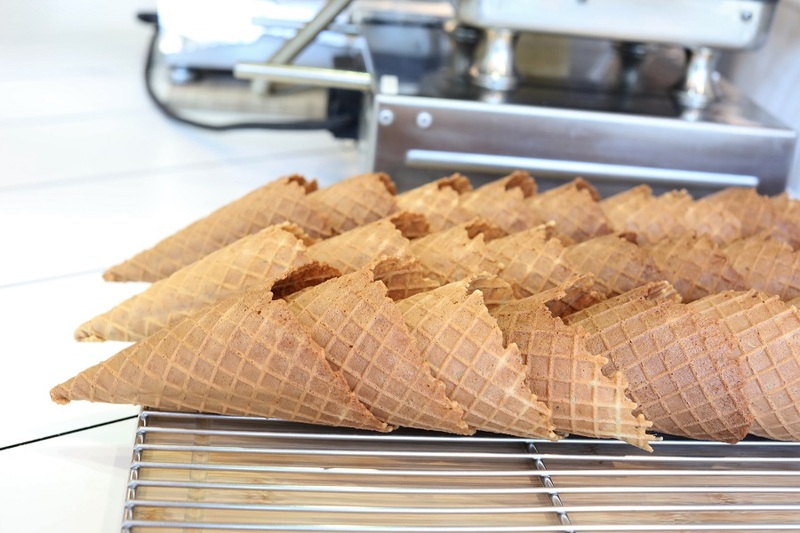 The Thyme Cones have that fragrance and light crunch – best accompaniment to the creamy gelato.